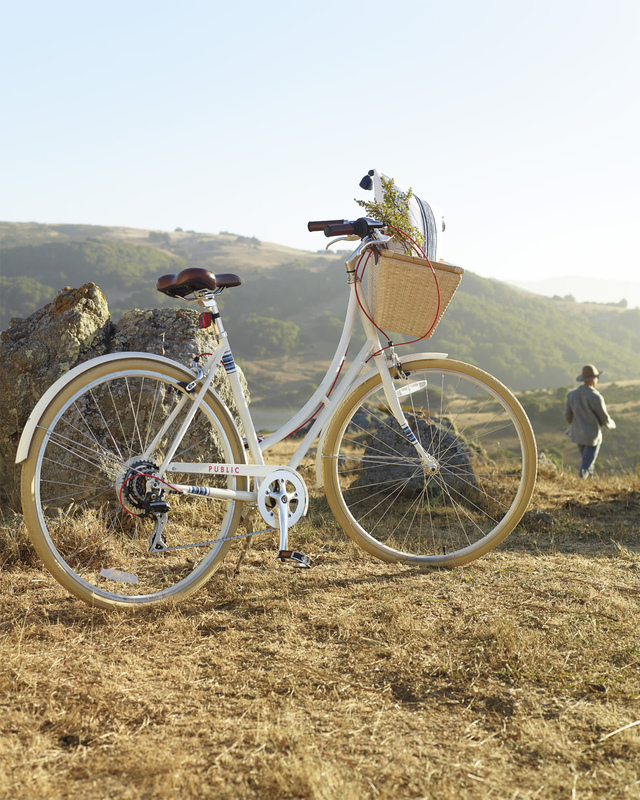 Riviera Bike BasketRiviera Bike Basket, Natural alt="Riviera Bike Basket, Natural"
Print A chic catchall for your cruiser, sized just right for pedal-powered errands to the market and beyond. Handcrafted of sustainable rattan and woven plastic, it’s detailed with smooth leather straps and brass buckles for securing to your bike handles. Limited-Edition PUBLIC® C7 Bike sold separately. 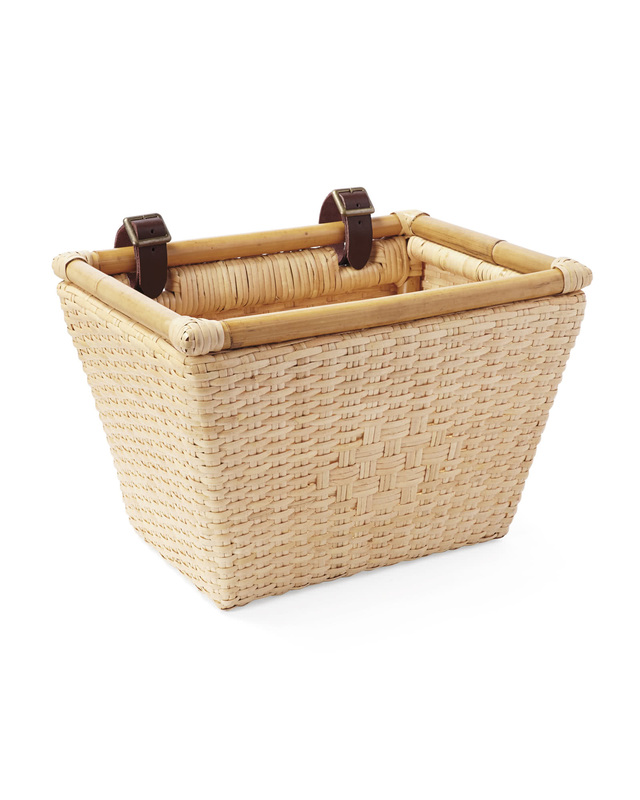 Basket has a woven plastic base with a sustainable rattan trim. Sturdy leather straps attach and detach easily. Holds standard size grocery bags. 14”W x 10”D x 9.5”H overall.